We have seen so many different collections this week incorporating some fun trends! Today you will find that each designer has used a different collection but they have used some of the same trends! It's so fun to see the same trend used in a different way! 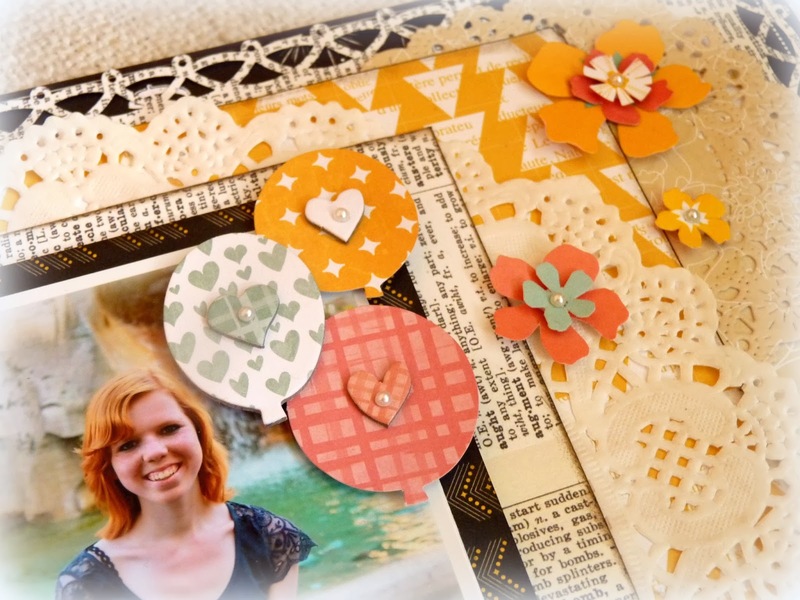 Doilies are one of my favorite products to use on my scrapbook projects and I simply love the doilies that Bo Bunny offers. 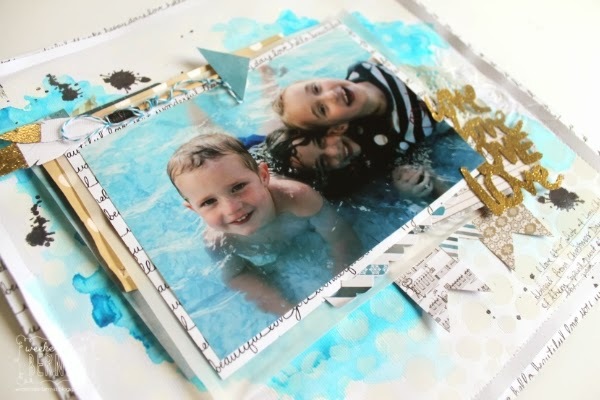 I find that they make a nice way to incorporate a non-square or rectangle shaped layer among my paper layers. 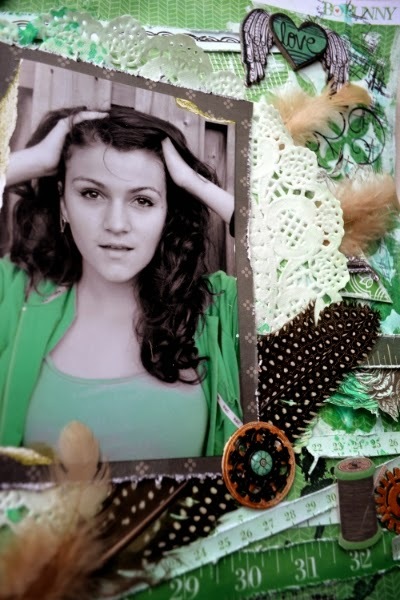 Doilies can also be a great way to draw more attention to your photo by matting your photo on top of it. Hearts are another kind of embellishment that I love to use. On this lay-out I incorporated some hearts to represent my love for the simple moments in life. The balloons that I used also represent the 'Life is a party' theme. 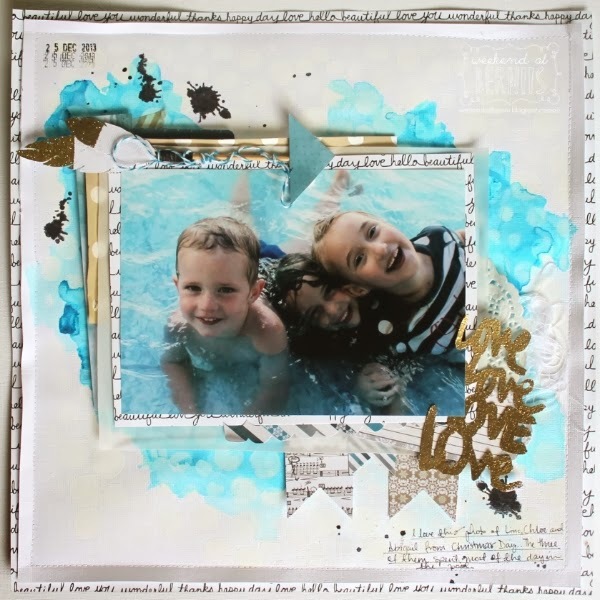 Designer Note: What I love about Bo Bunny's collections is the fact that they are really versatile and can often be used for all kinds of occasions. For instance, the Baby Bump collection is not only suitable for baby or pregnancy themed lay-outs, but can be perfectly used for summer photos as well. 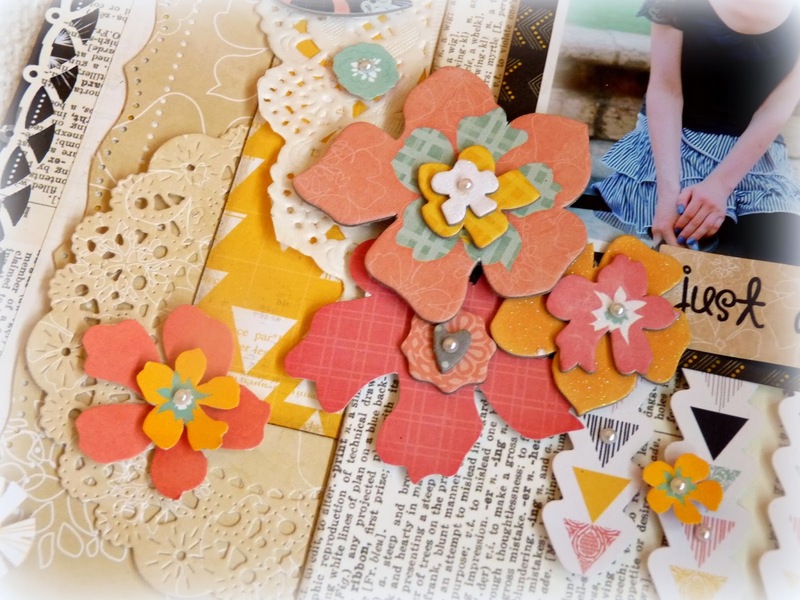 On this lay-out I actually mixed the Baby Bump collection with papers from the Pincushion and Pop Quiz collections. There are products and colors I like to use all the time. Well, I also get bored with them and every now and again I like to create something different. 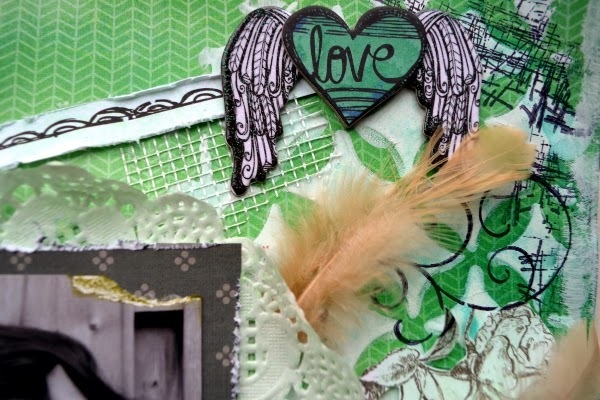 This time I wanted to use several items what are very trendy now; feathers, doilies, wooden chipboards, and clocks. To make it all look good I made my page monochromatic, with several shades of green and addition of beige, gold and black. I also made sure my photo will be matching my page. 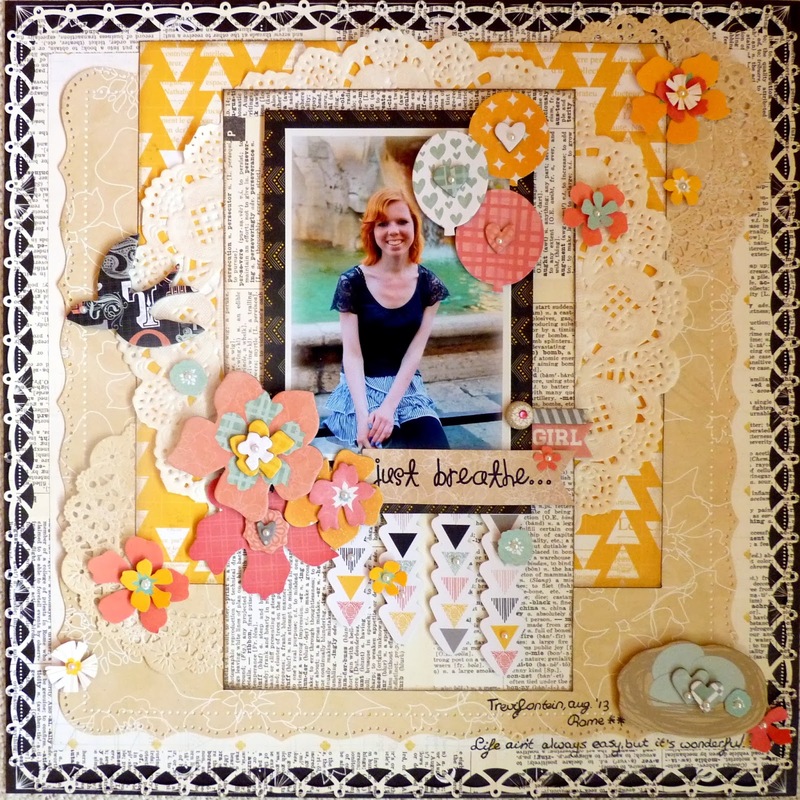 There are so many hot trends right now in the Scrapbooking industry that I find myself often adding some new trend into one of my layouts. I love how BoBunny's collections are so easily adaptable and with a few different trends you can achieve totally different looks. 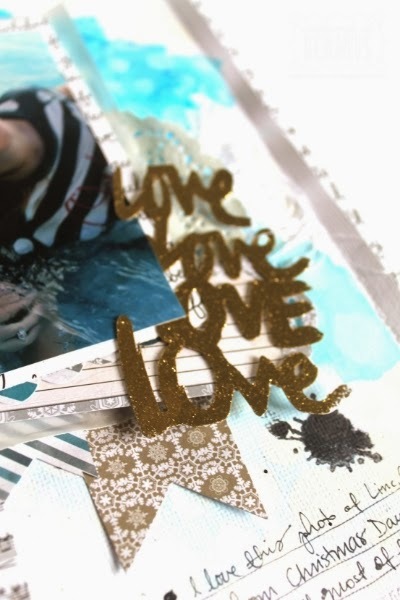 I managed to include gold, watercolor, feathers, Velum, arrows and a string cluster to my Love Love Love layout. For this layout, I mainly used the Winter Wonderland Collection as I really wanted to highlight the blue tones from the photo. To replicate the look of water, I decided to add watercolor in two different shades of blue to the background, making sure that I used gesso and a template first to help stop the card stock from warping. I then went around the back and added some random inked "splatters" using the BoBunny stamp set. I also made this feather arrow, using my Silhouette Portrait and some cut files. I then simply heat embossed only the tips of the feathers, with gold embossing power although glitter would also look fabulous in it's place. I then attached the feather to a kebab skewer and then attached it to my page with foam dots to help add some dimension. 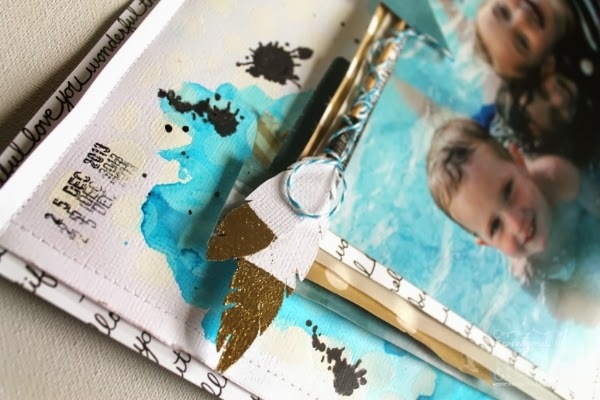 Patterned Paper: Zip-A-Dee-Doodle/Collage, Woodland Winter, Peek A Boo. Great projects and thanks for all the new inspirations.